Chatting with your co-workers may seem harmless, even if you engage in a little office gossip or get together to gripe about a difficult assignment. 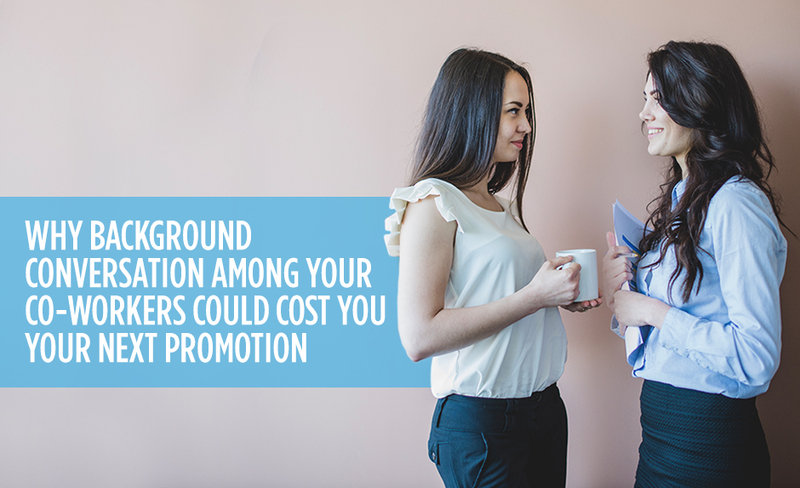 The reality, however, is the talks you have with your peers could end up costing you your promotion if you're not careful what you say and who you say it to. When you want to vent about issues with your work or problems with your boss, be careful about who you talk to at your office. The co-worker you complain to about a work process may have been the person who designed that process, or the peer you chat with about your bad boss at the water cooler could report exactly what you said back to the boss. Co-workers could also end up being promoted, so that friend you had at work who you constantly complained to about problems could end up being the person put in charge of managing you some day. There's a big difference between bad-mouthing your job and opening up about an issue you're having. While it may be OK to say an assignment is challenging, it's much more problematic if you talk about hating any part of your job or if you describe the work you are doing as stupid or pointless. You don't want to come across as overly negative or use harsh language that makes it seem you think your job tasks are beneath you. If you're constantly complaining about various aspects of your work, take a negative attitude to the company or you're regularly engaging in idle gossip with your co-workers, this can convince a manager you're not mature enough to take on more responsibilities. If you're not happy at your job and find yourself constantly complaining to co-workers, you should act. Contact Eastridge Workforce Solutions to find out how our staffing service can assist you in finding a new position that will make you happier so you don’t spend your days complaining to others.